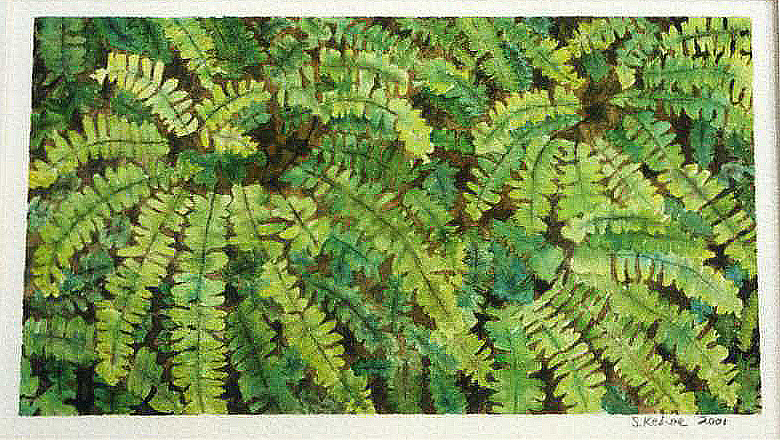 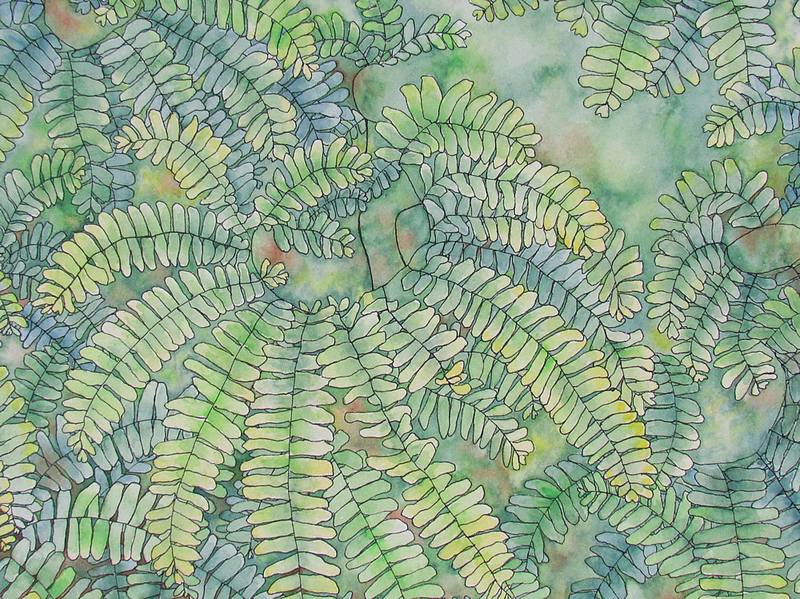 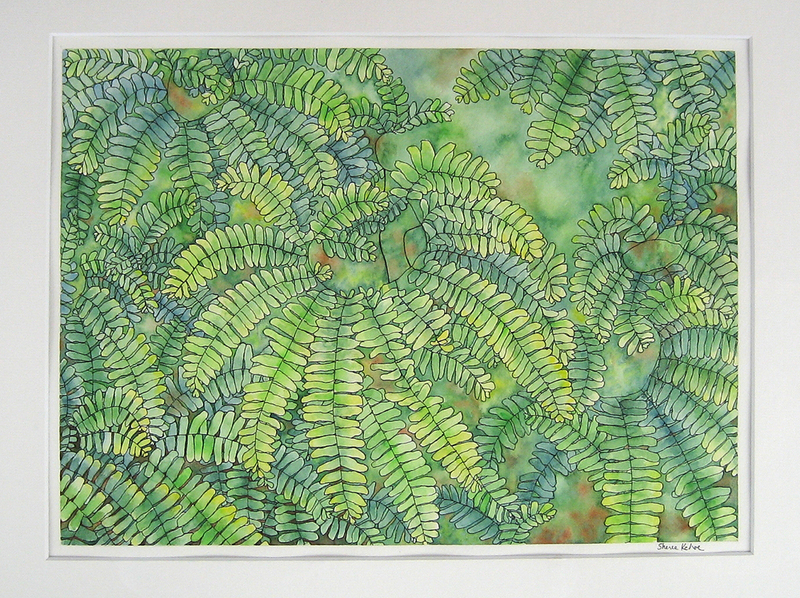 aidenhair Ferns are one of my favorite plants and since I am not too successful at growing them, I painted them! A pen and ink drawing was completed by using watercolor. 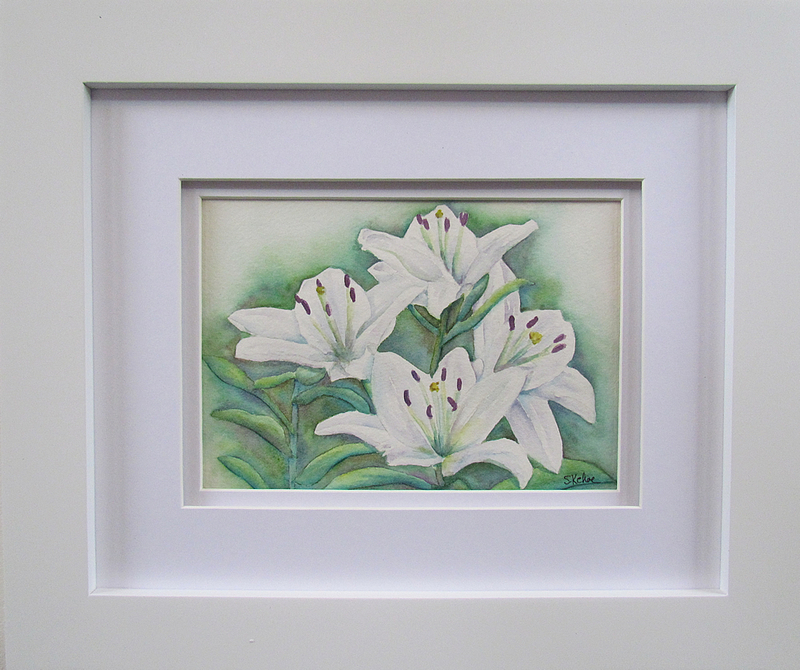 It was the inspiration to redecorate our bedroom, with the walls painted to pick up several of the greens used in the painting. 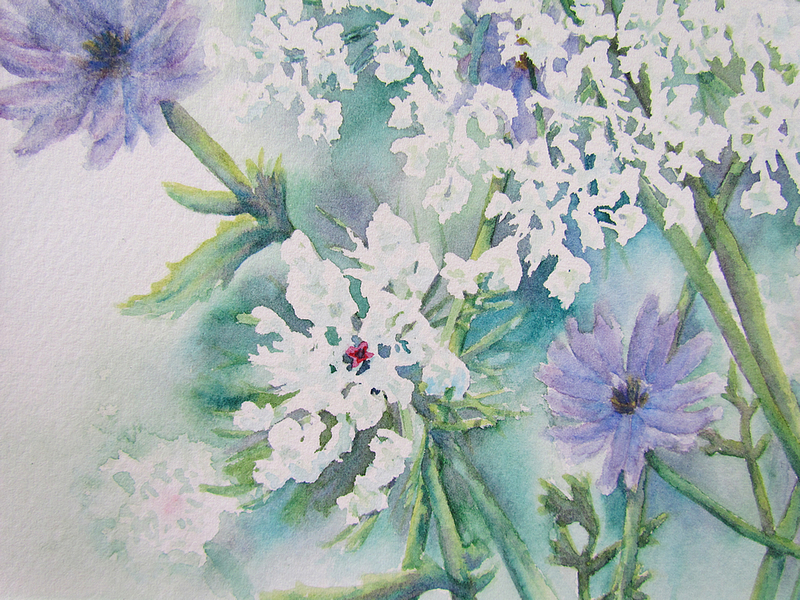 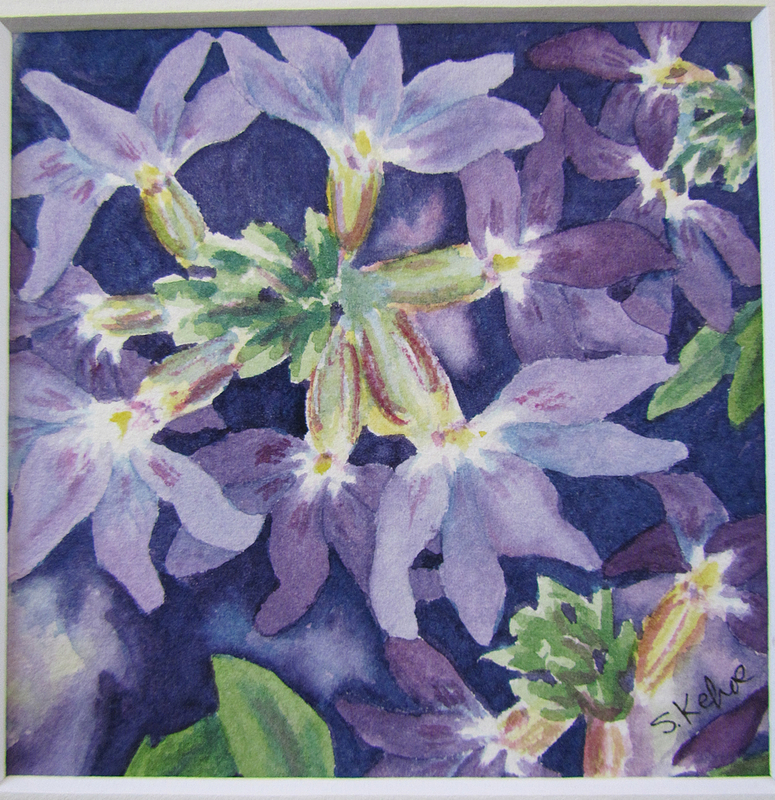 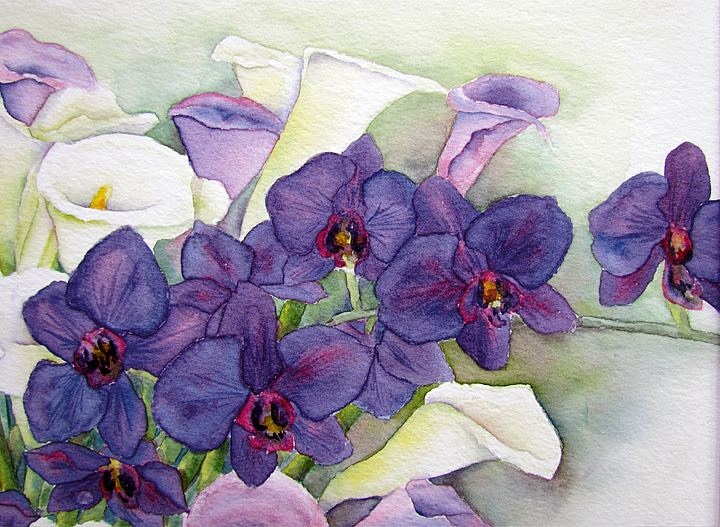 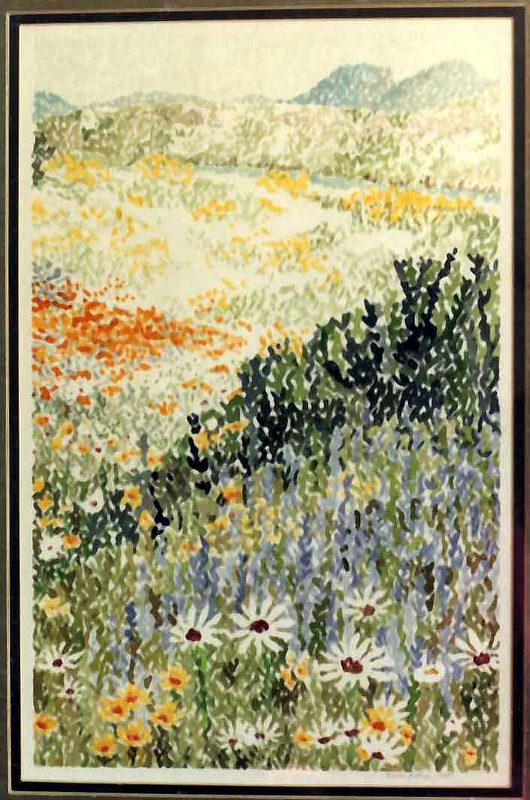 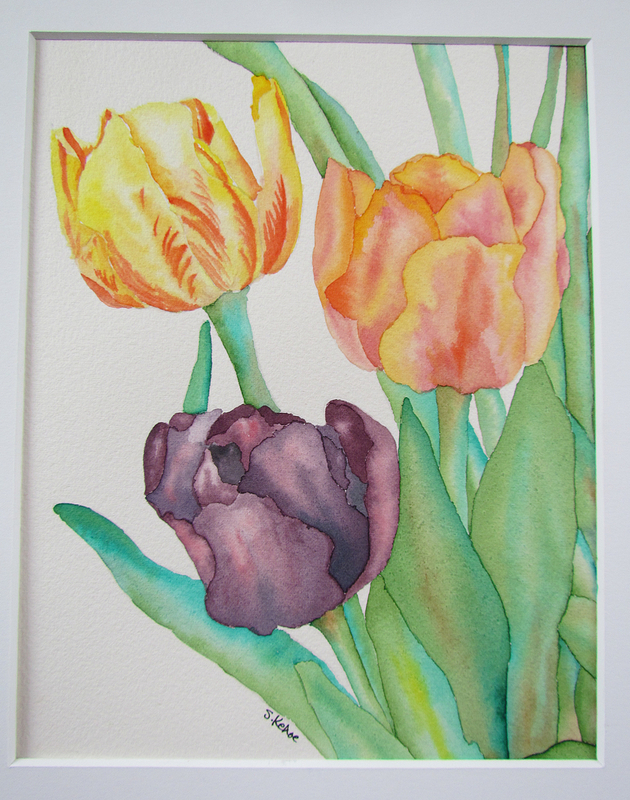 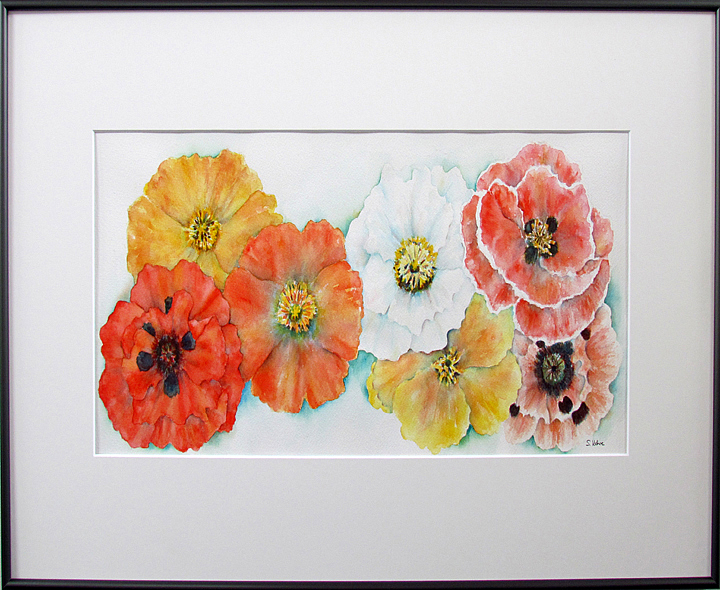 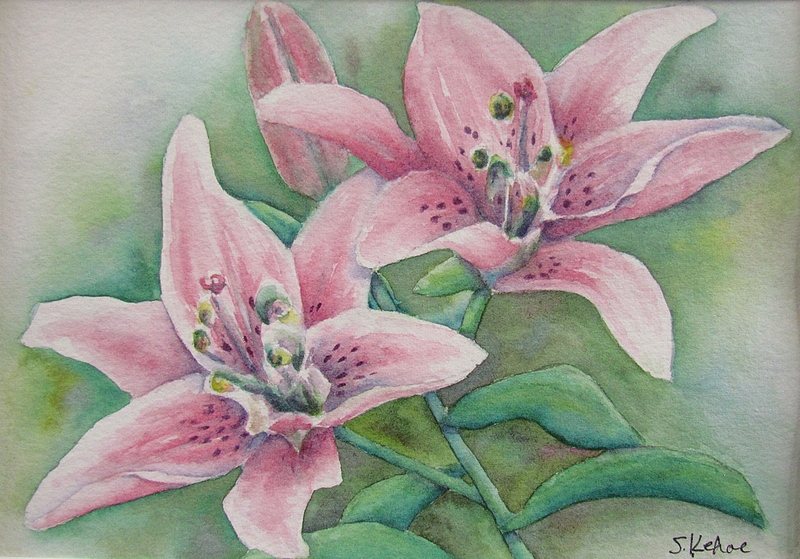 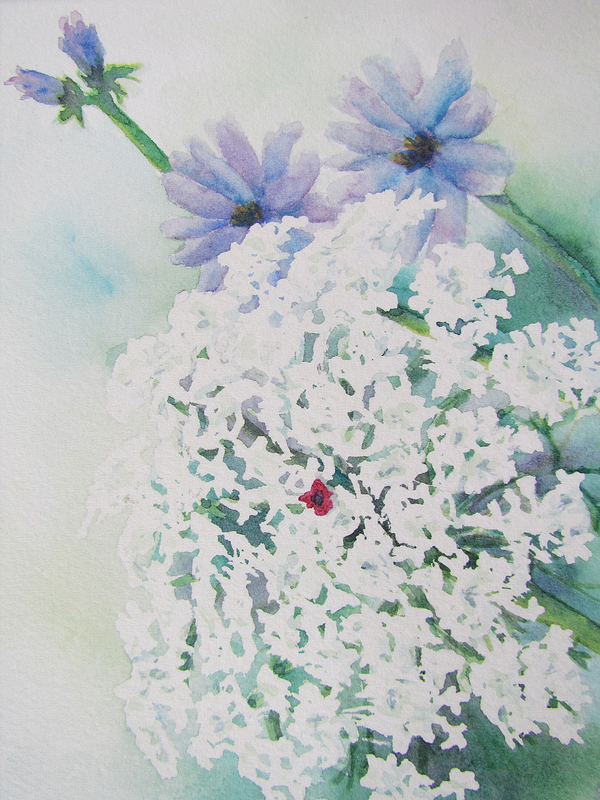 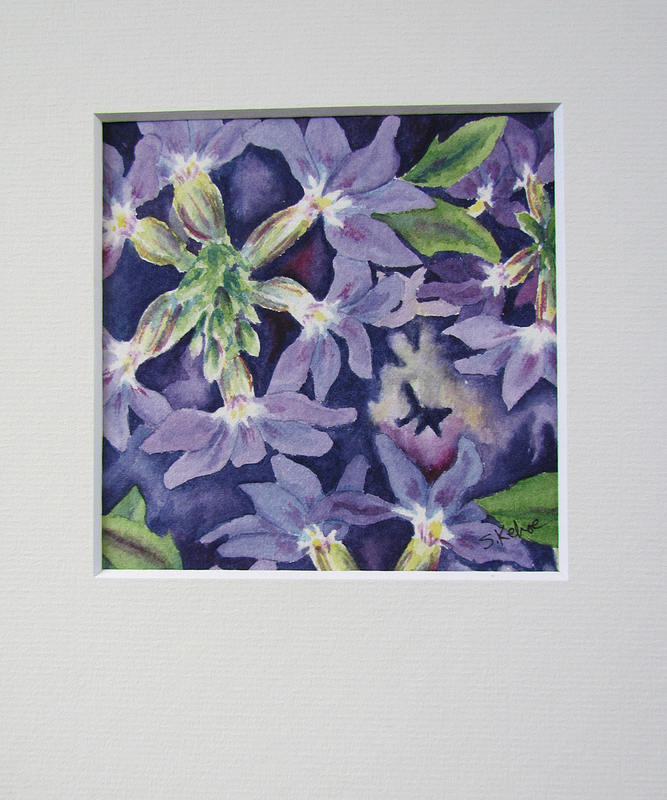 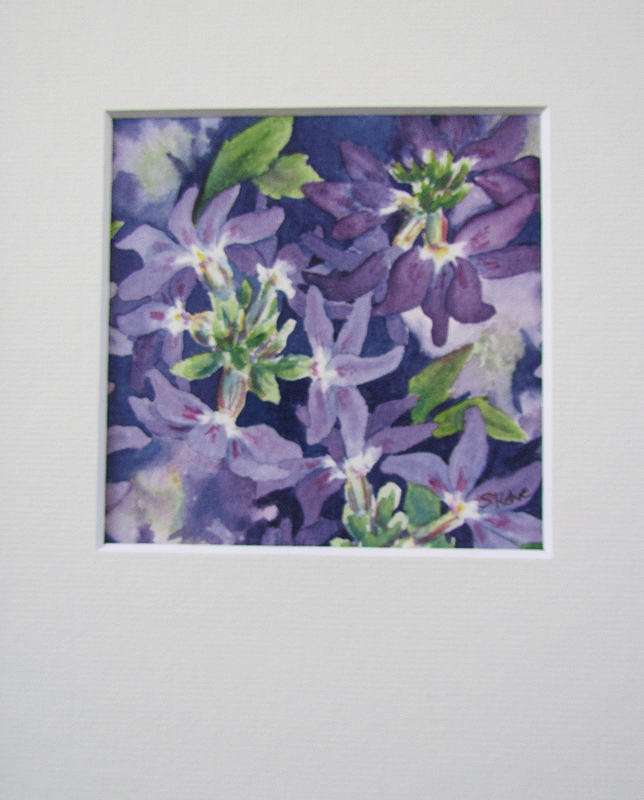 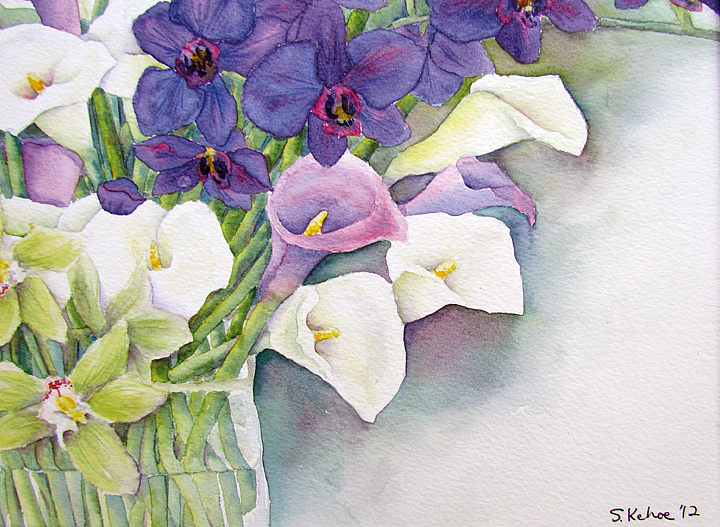 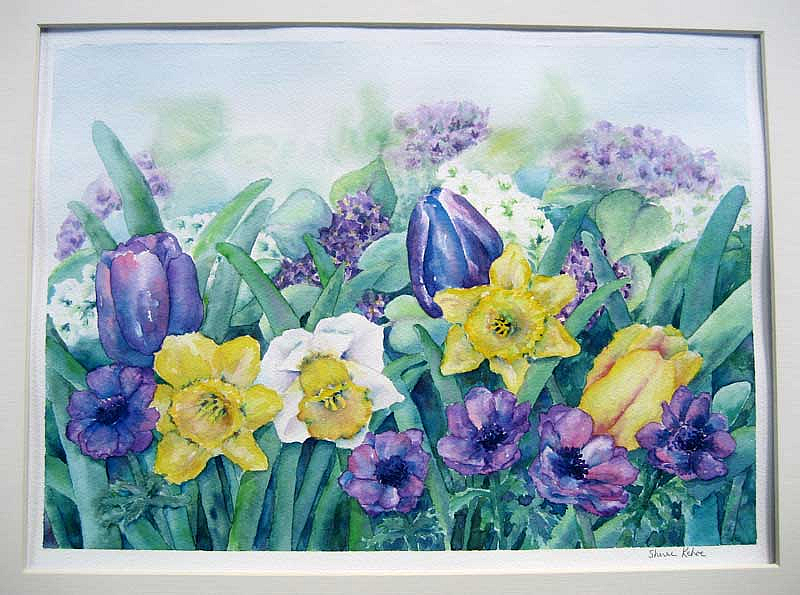 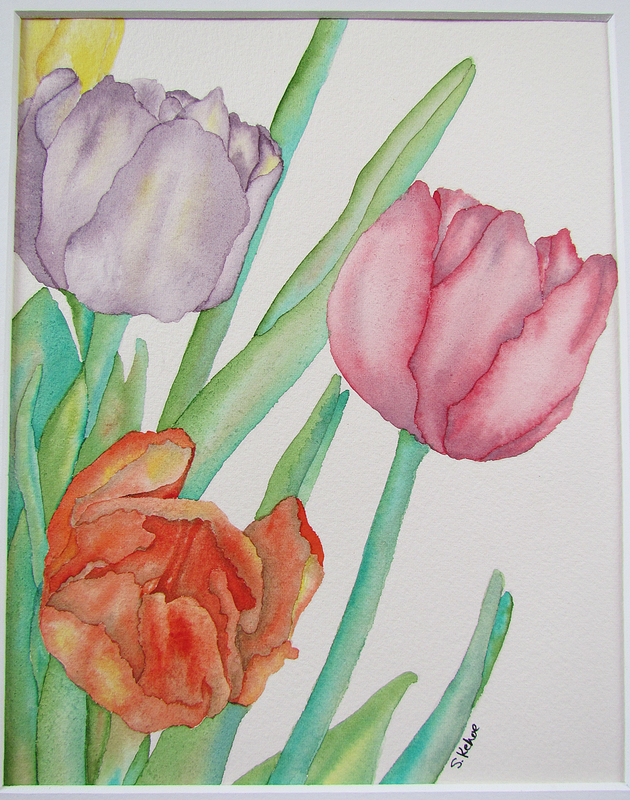 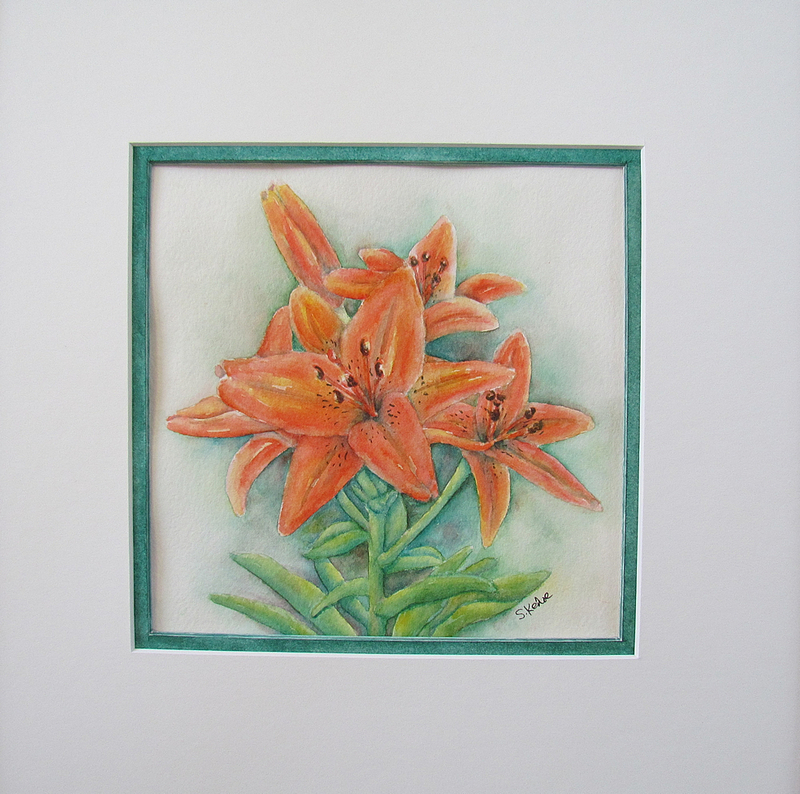 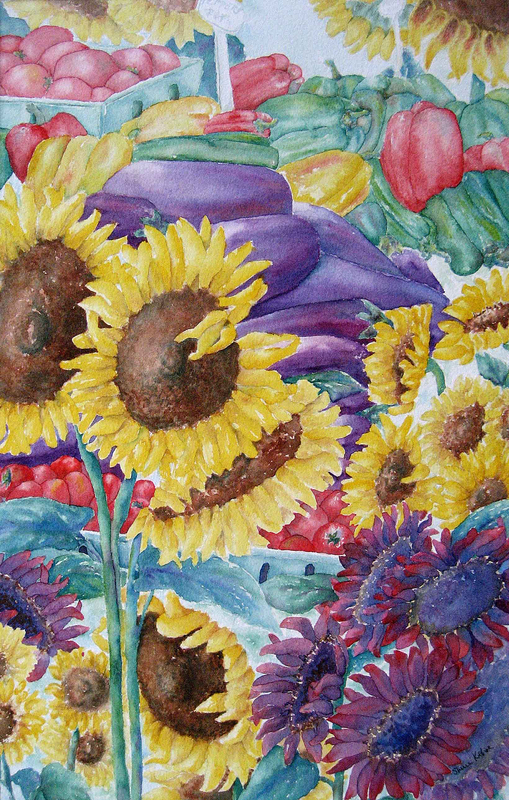 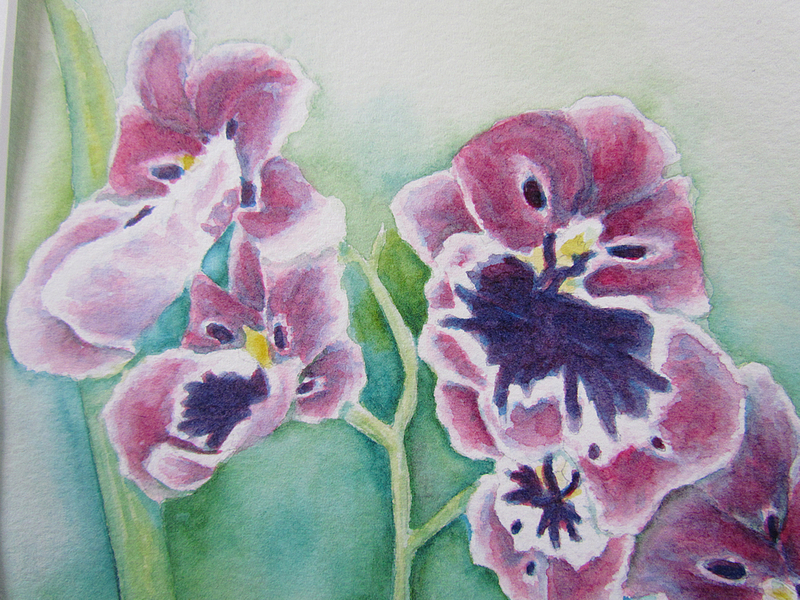 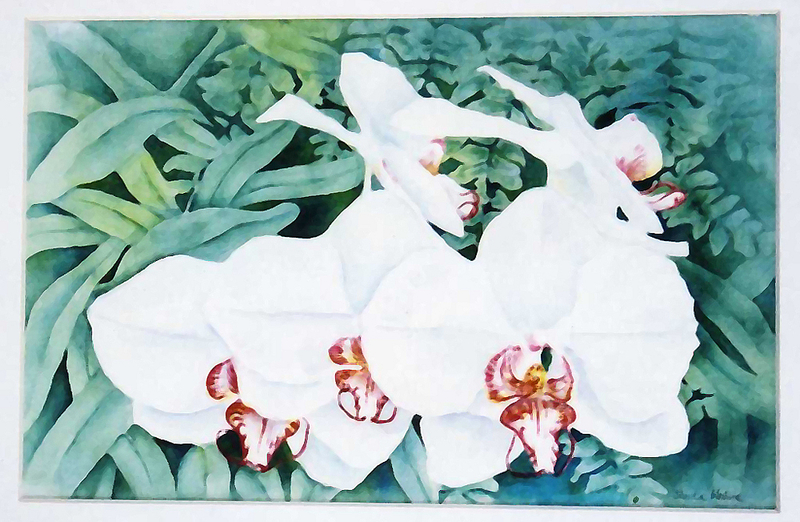 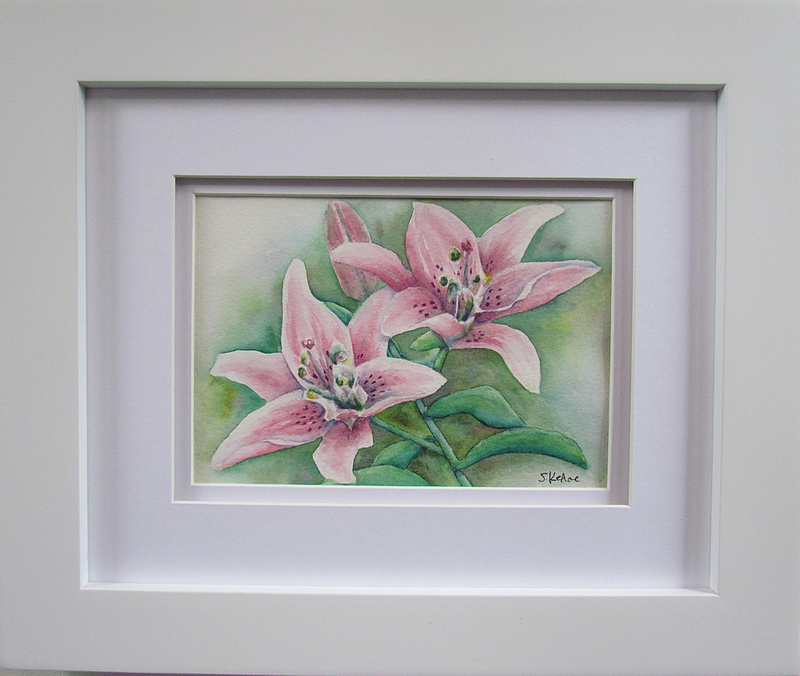 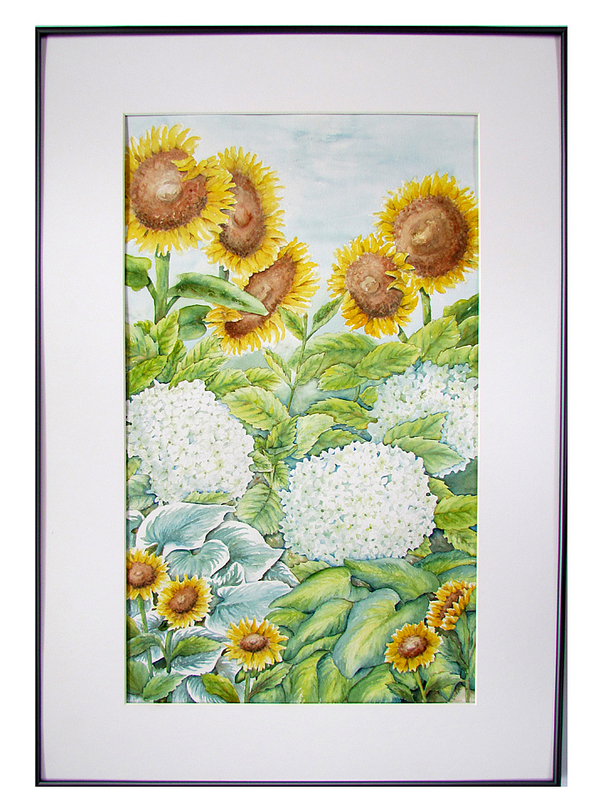 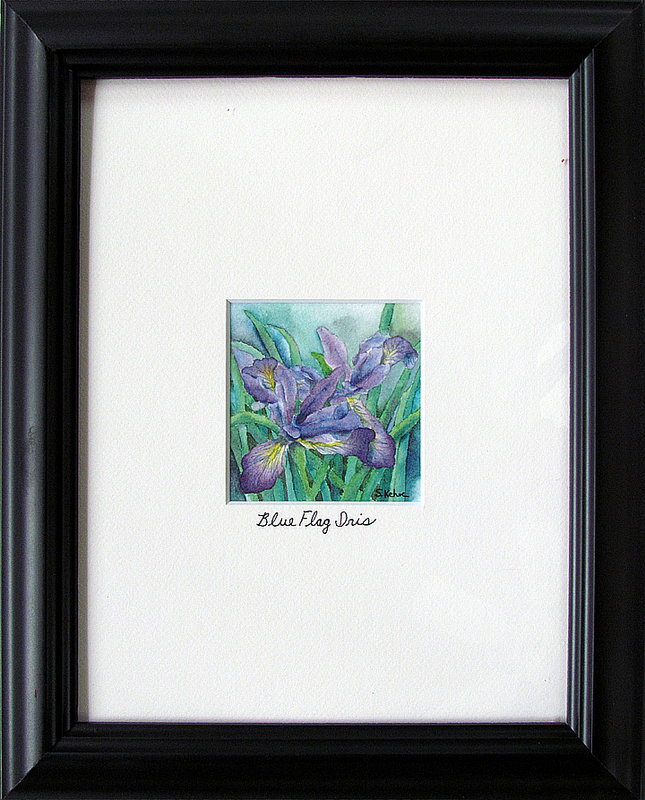 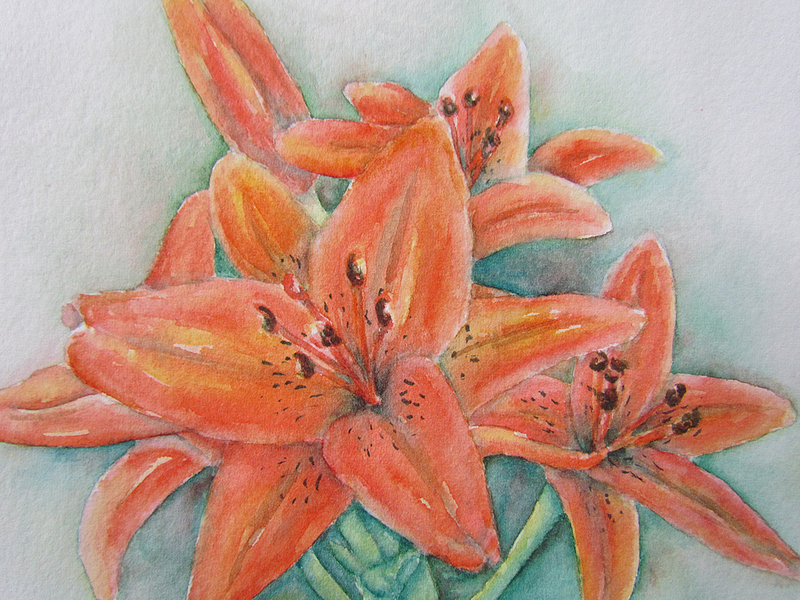 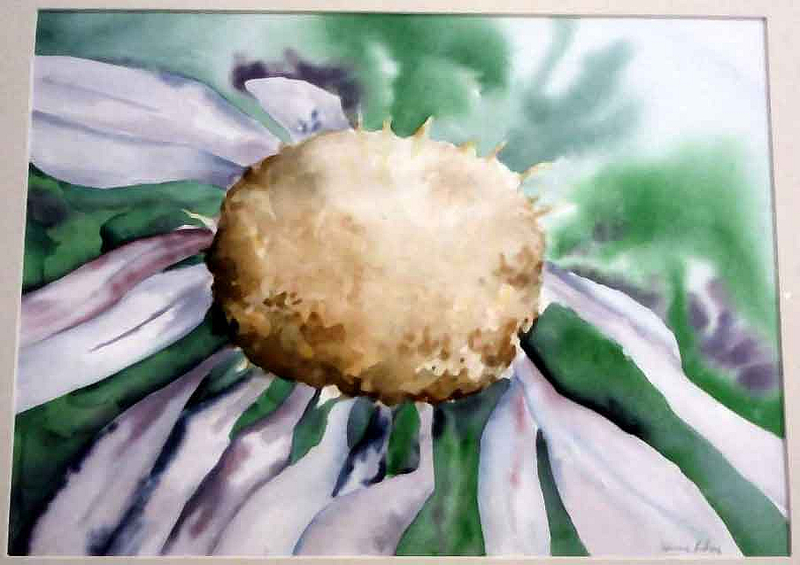 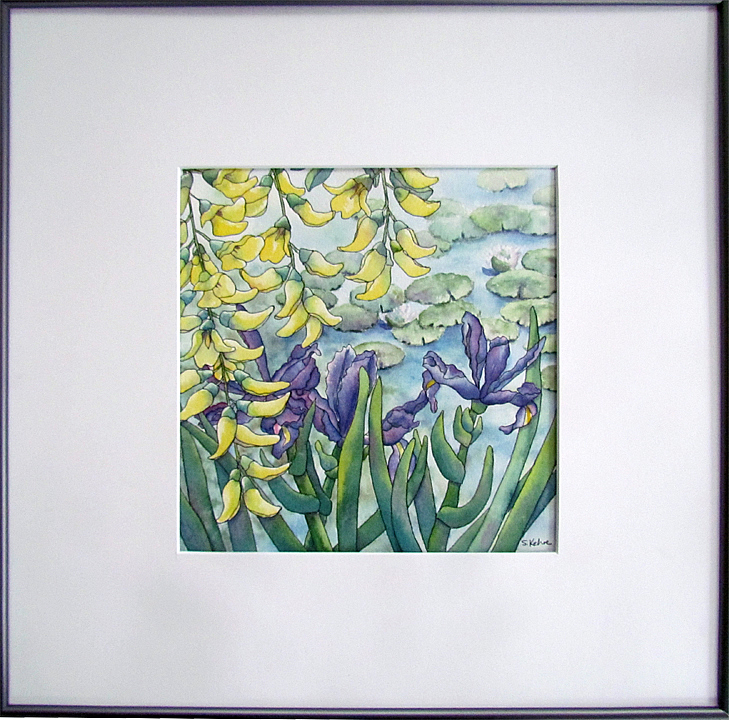 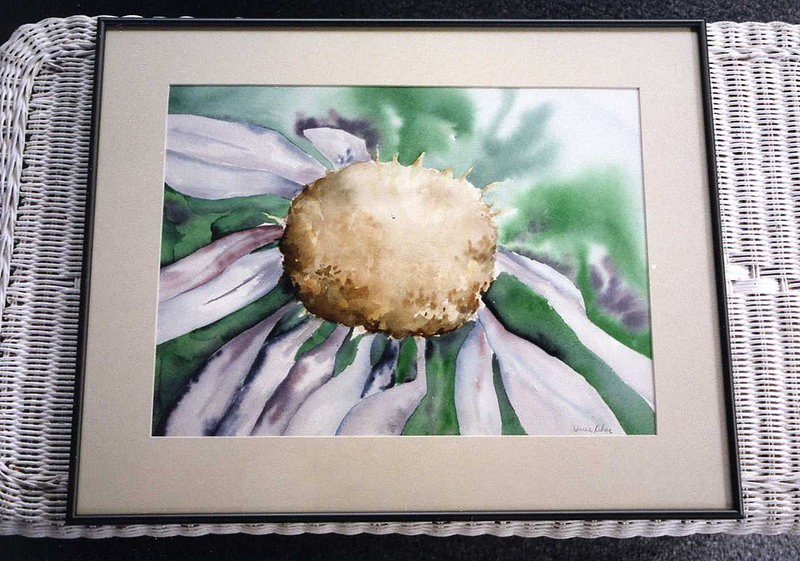 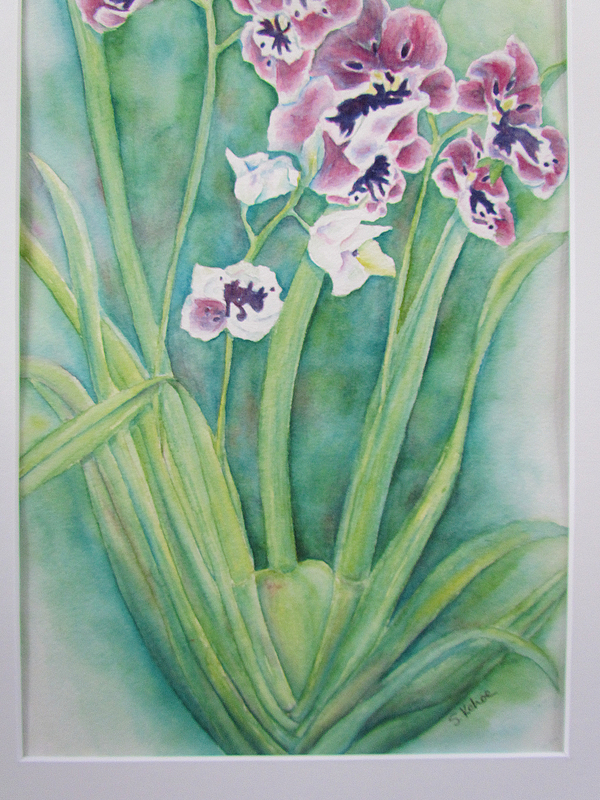 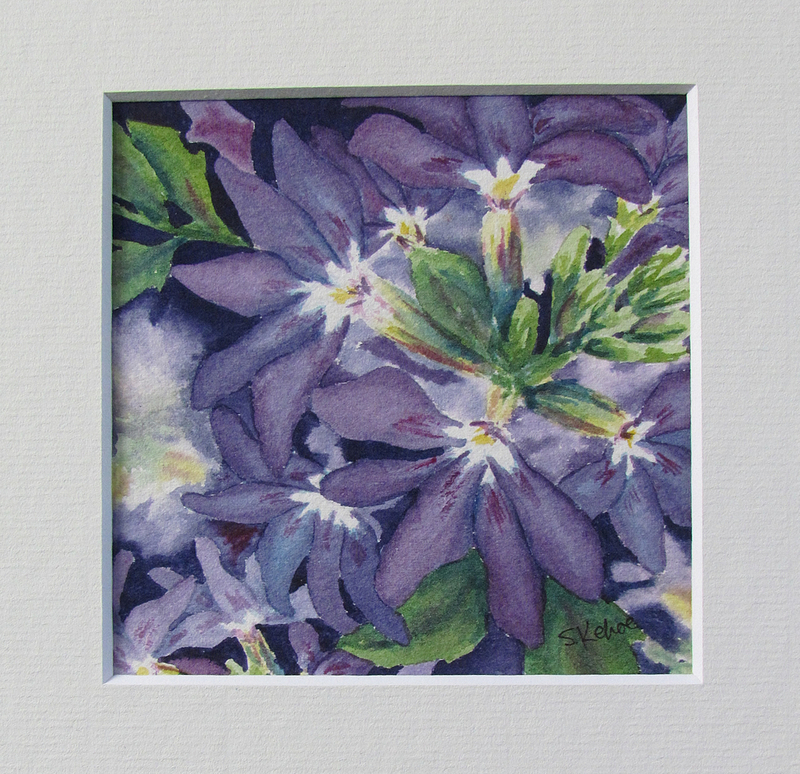 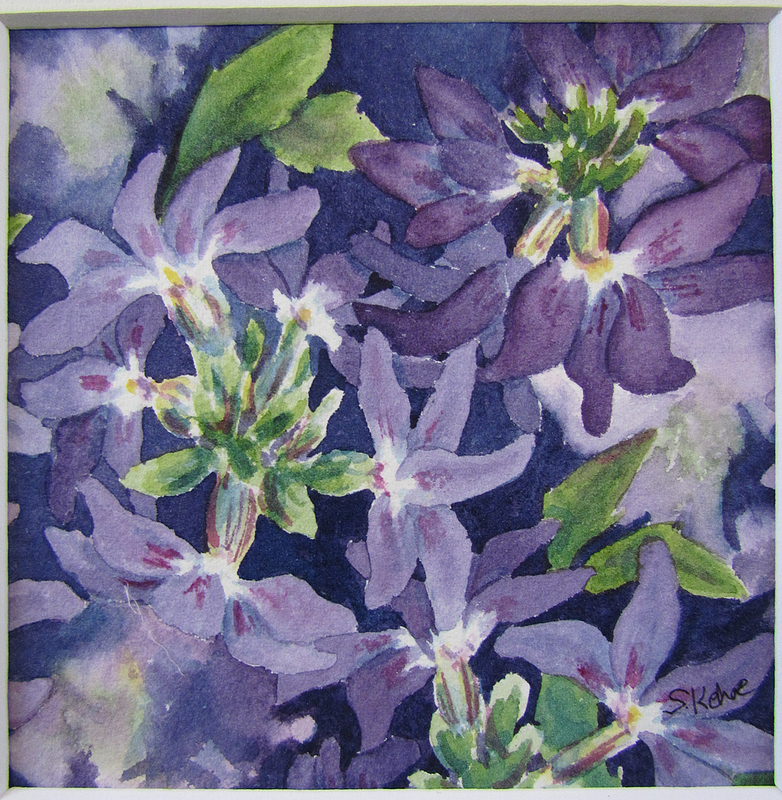 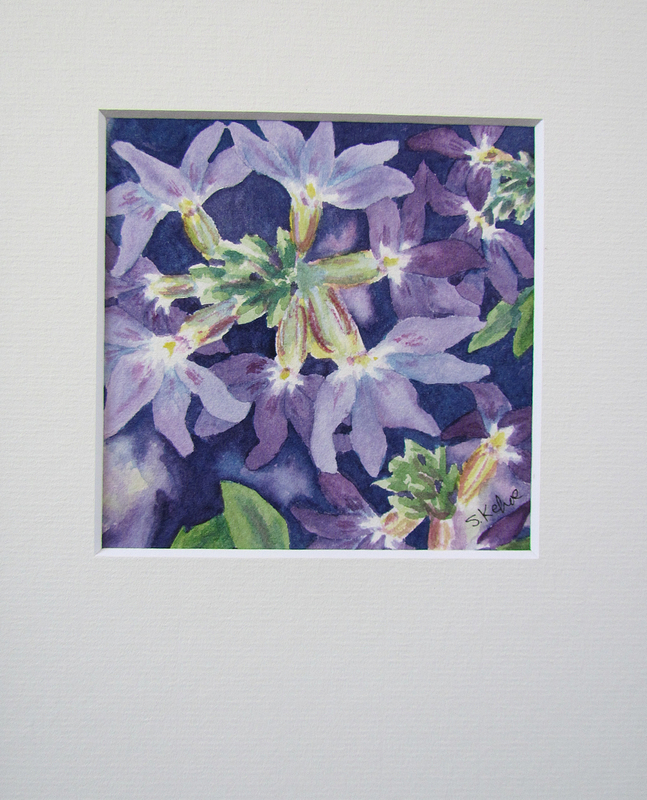 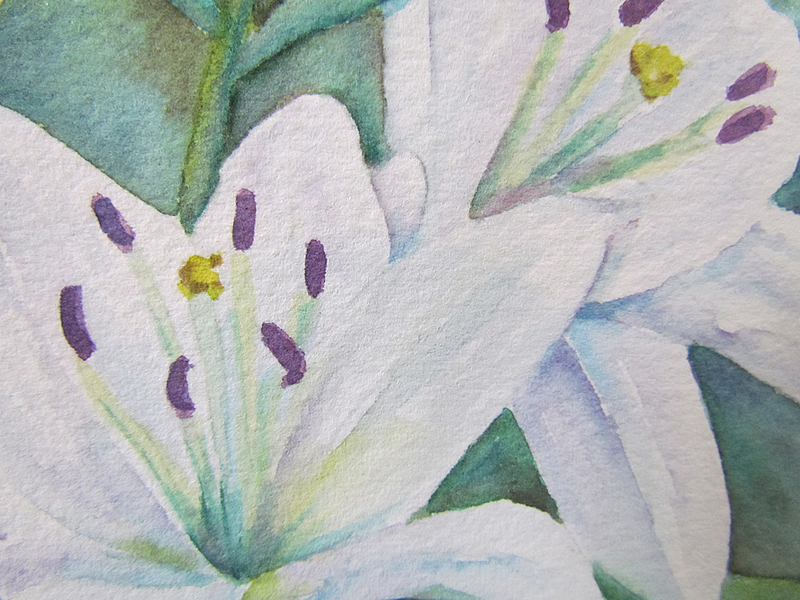 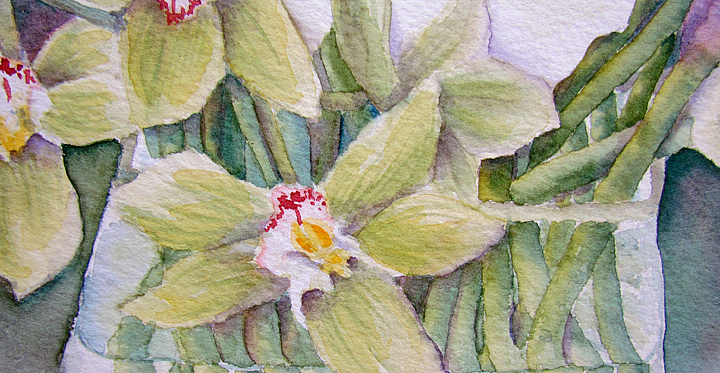 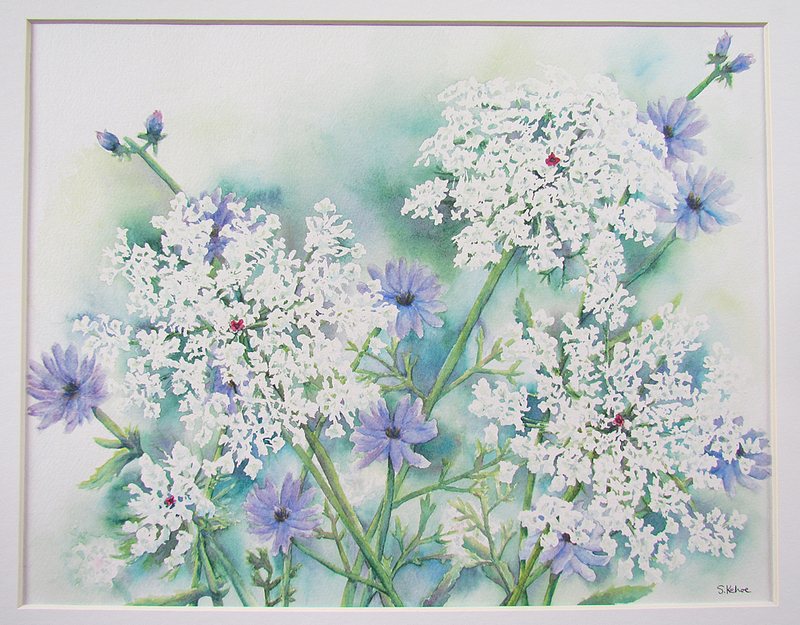 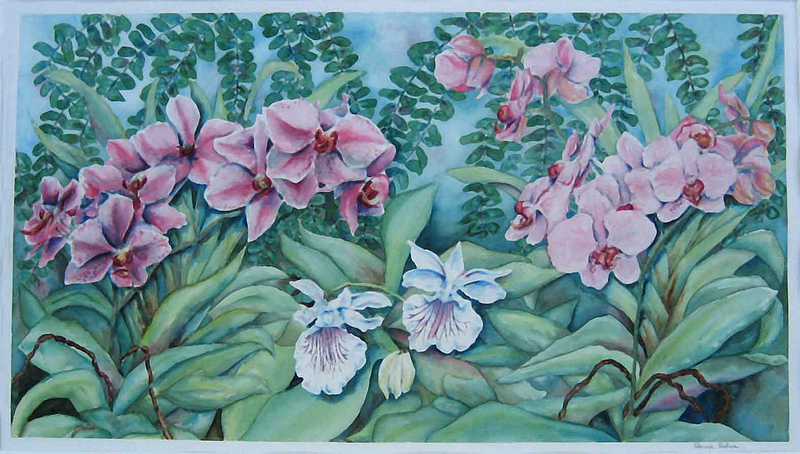 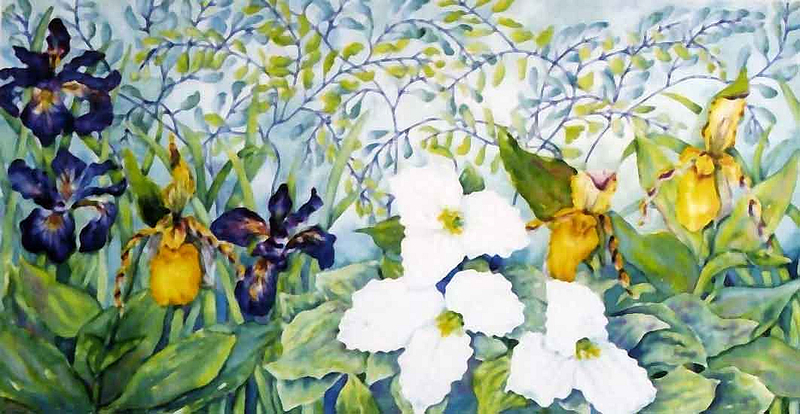 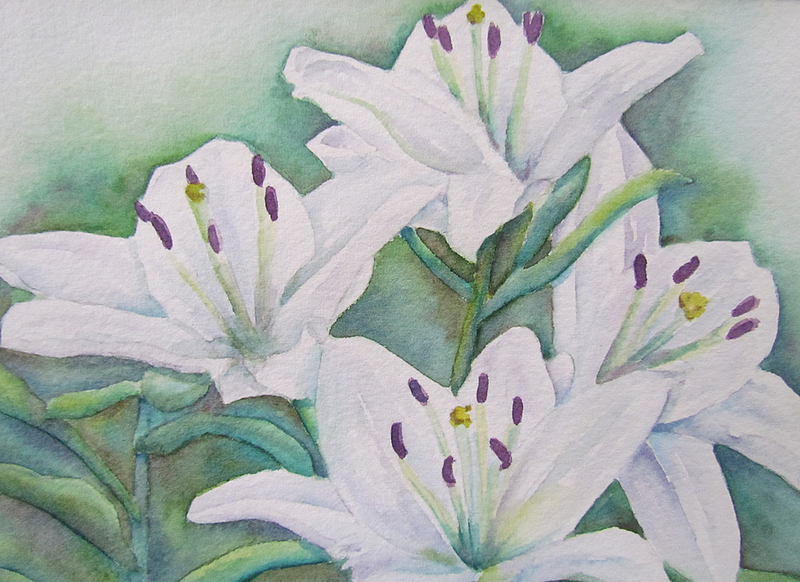 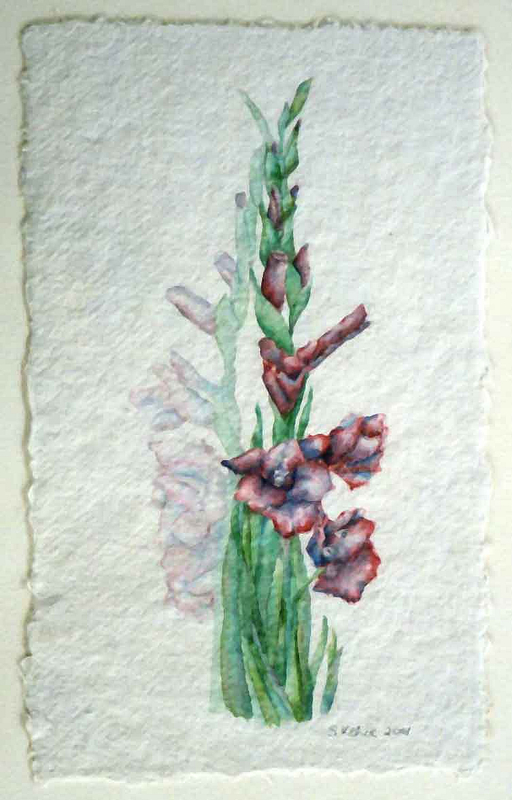 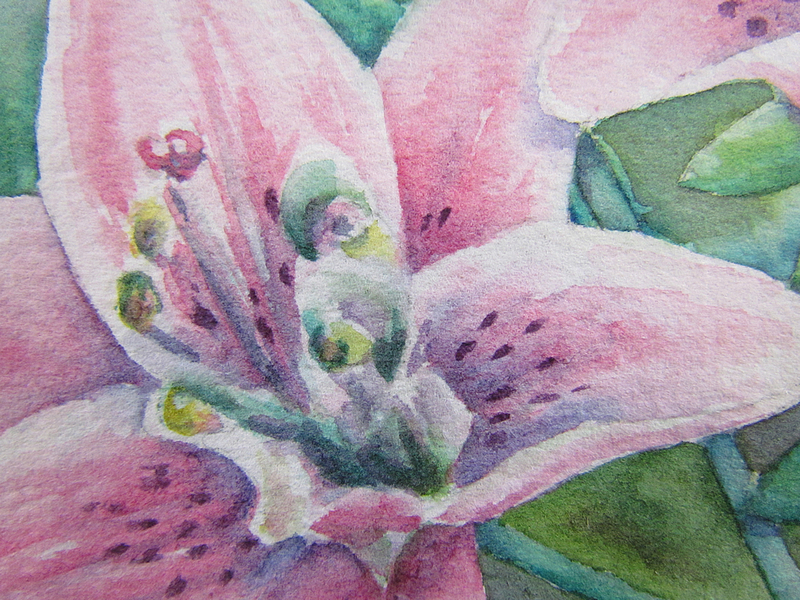 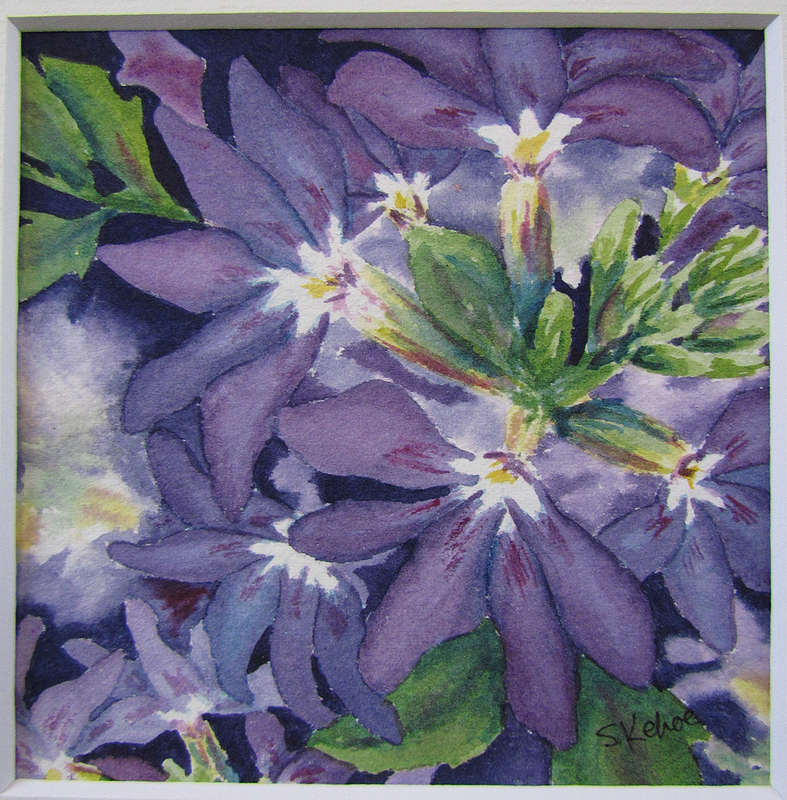 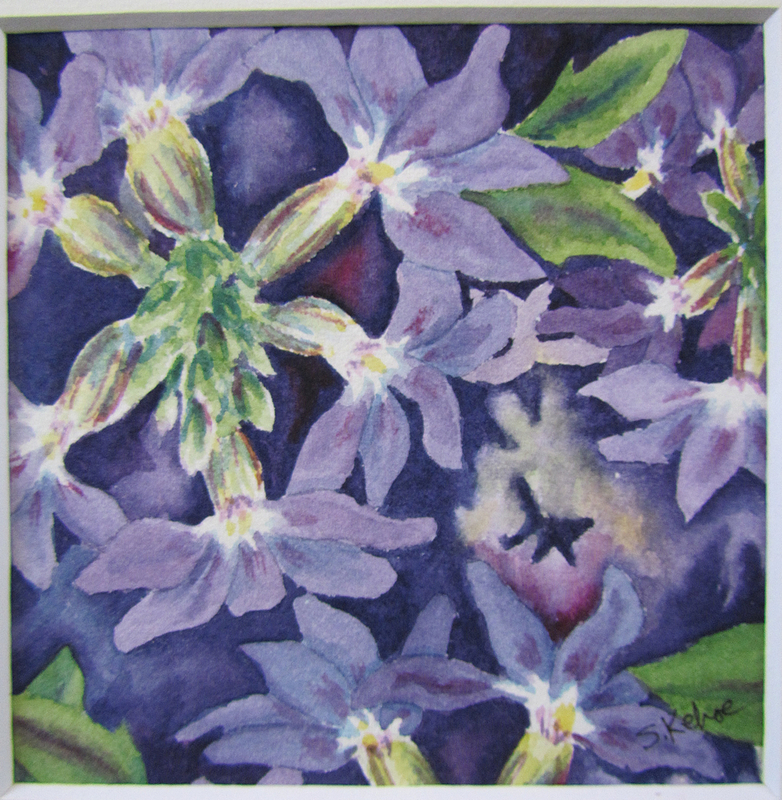 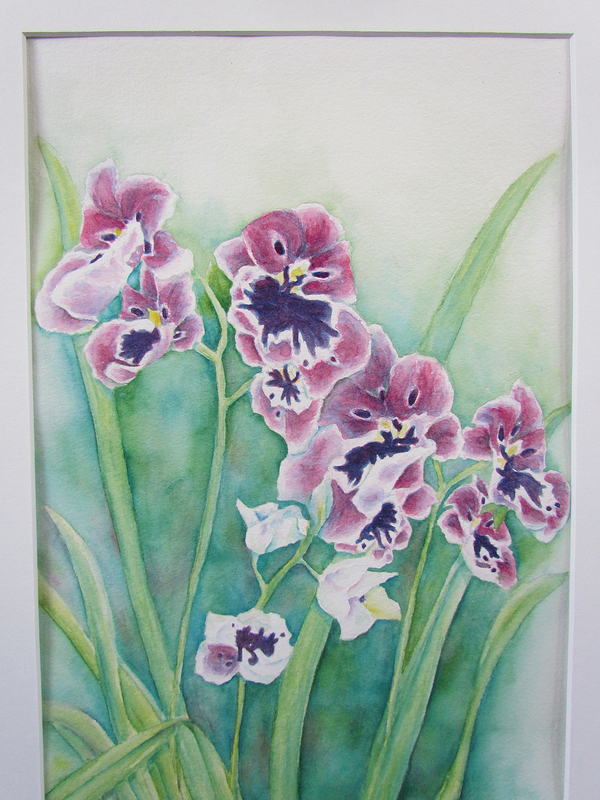 Flowers lend themselves to watercolor and are a joy to paint. 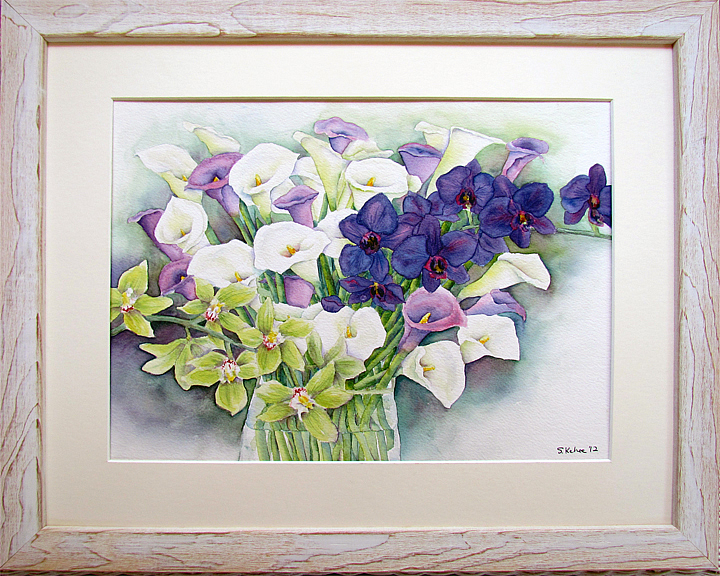 For those of us who live in winter climates, it is nice to have flowers in the house year round!